The 360° Campus is an initiative to help university students prepare for the successful transition from school to the work place. Our mission is to provide career enhancing skills through initiatives that bring campus students in touch with mentors, employers and interest groups to interact, learn and share opportunities. We aim to help the student develop into the best they can be. The 360° Campus is the university version of The 360° Network – a unique initiative with a mission to bring virtual and real people networks together to share knowledge, skills, and opportunities and have fun. With support from the US Mission Uganda, we are organising a seminar on the 22 of March 2012 during which the The 360° Campus will be officially launched. The event will be held at Block B, College of Computing and Information Technology, Makerere University starting at 4 PM. The theme for this event-the first in a series of university student-oriented events, will focus on Social Media. Social Media experts will be sharing knowledge to help the student identify opportunities for using Social Media to enhance their career prospects as entrepreneurs or corporate employees by building and marketing their personal brand. 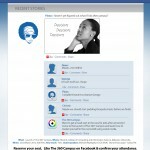 A free and cool magazine- The 360° Intern. This magazine will be the ultimate student’s guide through university to the workplace; and with carry cutting edge personal development advice, career tips, job opportunities and a lot of cool stories. Membership is free and open to all students at the tertiary level of education across Uganda. 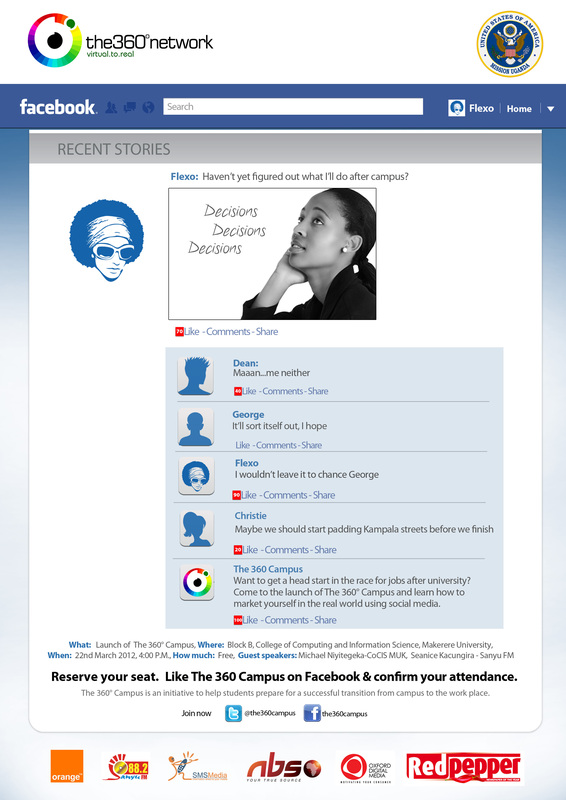 You can join by visiting and liking our Facebook page , following us on twitter @the360campus or registering here . All video from 360° Campus events will be available at our YouTube Channel.